The Arab Spring, was largely political in nature, and fueled an exodus of migrants from across the swath of affected countries into Europe. Now, a study published in Global Environmental Change finds evidence that a changing climate was also a factor. The researchers hypothesized that abnormal and extreme climate events worsen conflicts, which in turn lead to migration. They say their results add evidence to the intensely debated narrative that links drought, at least in part, to the political unrest of the Arab Spring and subsequent Syrian civil war. On Dec. 17, 2010, a 26-year-old Tunisian fruit vendor named Tarek el-Tayeb Mohamed Bouazizi set himself on fire to protest the confiscation of his produce. This act kicked off protests in Tunisia that eventually swept the Arab world, toppling leaders and giving rise to conflicts that persist today. That upheaval, known as the Arab Spring, was largely political in nature, and fueled an exodus of migrants from across the swath of affected countries into Europe. Now, a study published in Global Environmental Change finds evidence that a changing climate was also a factor. The researchers hypothesized that abnormal and extreme climate events worsen conflicts, which in turn lead to migration. Using a statistical model to test their hypothesis, the researchers analyzed three sets of data: drought index for climate, battle fatalities for conflict, and asylum applications from 157 countries for migration. The model produced a clear result: drought was partially responsible for conflict in and asylum-seeking from northern Africa and western Asia — the Arab Spring region — between 2010 and 2012. 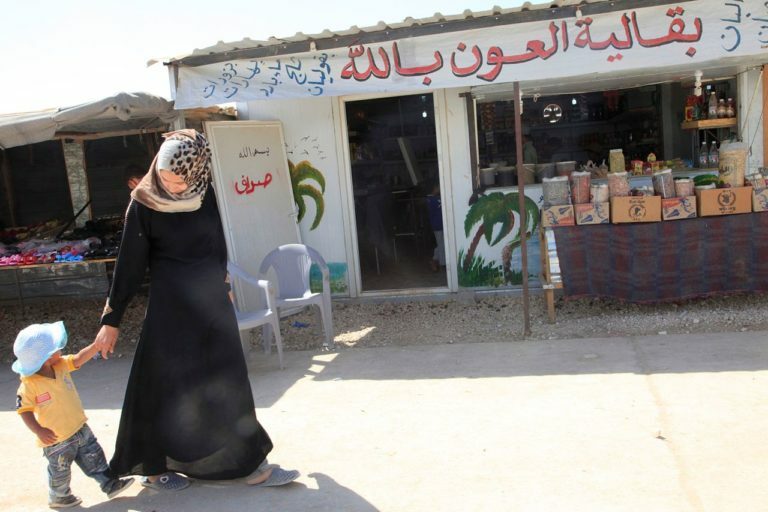 “We were able to identify the relationships between climate, conflict and forced migration which were particularly relevant in the period of the Arab spring,” said Raya Muttarak, a geographer at the U.K.’s University of East Anglia and a co-author of the study. 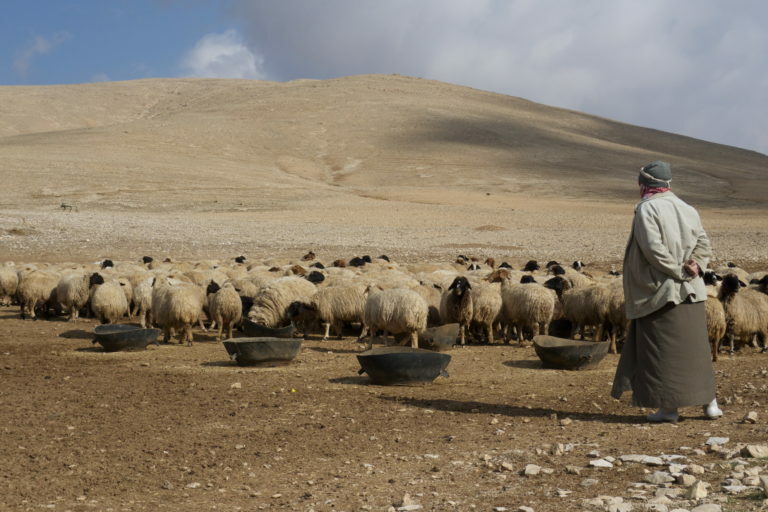 A shepherd tends a flock of sheep in the Syrian countryside in 2011, after a severe drought from 2007 to 2010. A recent study revealed drought as one factor behind the Arab Spring conflicts and resulting migrations. Image by Joel Bombardier via Flickr (CC BY 2.0). Importantly, the study showed that drought did not contribute to any other conflict or international migration event worldwide during the period studied, from 2006 to 2015. “Our statistical result confirms the link between climate and conflict but only in [a] specific time period and only for certain countries,” Muttarak told Mongabay in an e-mail. “The paper clarifies a little bit that if there is any link between climate-led disaster and migration, it is through conflict and not [a] direct [link],” Schleussner said. He applauded the researchers for detangling conflict from migration. Previous studies used refugee data as a proxy for both conflict and migration, obscuring how climate influences them individually. The researchers say their results add evidence to the intensely debated narrative that links drought, at least in part, to the political unrest of the Arab Spring and subsequent Syrian civil war. 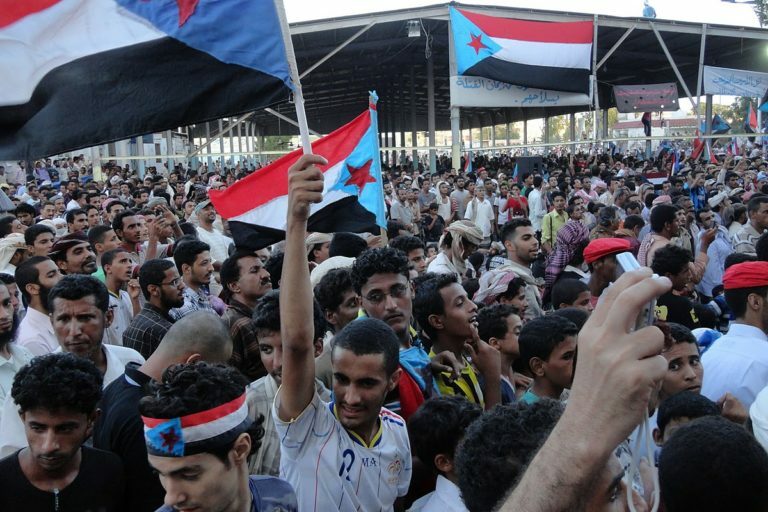 Yemeni protesters demand political change in October 2011. Tunisia, Egypt, Libya and Yemen toppled their leaders during the Arab Spring, and Syria has since spiraled into a civil war. Image by AlMahra via Wikimedia Commons (CC BY-SA 4.0). Mohamed Bouazizi’s self-immolation in December 2010 sparked a wave of political change across the Arab region. By the end of February 2012, protesters had toppled rulers in Tunisia, Egypt, Libya and Yemen; civil uprisings had shaken Bahrain and Syria; and major demonstrations had erupted in a dozen other nations. In Syria, the conflict has since escalated to a bloody civil war, responsible for more than 400,000 deaths, 6.6 million internally displaced people, and 5.6 million international refugees. The causes behind these political spasms are complex, involving social, economic and environmental components, the researchers write. The results of their model, they say, point to drought as one factor behind the Arab Spring. Syria in particular suffered a severe drought that may have set the stage for conflict. From 2007 to 2010, low rainfall and poor water policies caused sweeping, multi-year crop failures. Urban and rural discontent coalesced into violent uprisings against the authoritarian government, spurring waves of migration. According to a 2015 study, human-caused climate change made this drought two to three times more likely than it would have otherwise been. Earth’s average temperature has risen by 1 degree Celsius (1.8 degrees Fahrenheit) since the 1850s, due to carbon dioxide emissions from the burning of fossil fuels, as well as deforestation and other ecological destruction. The U.N.’s Intergovernmental Panel on Climate Change predicts a range of future warming between 1.5 and 4.9 degrees Celsius (2.7 and 8.8 degrees Fahrenheit), depending on the actions taken to reduce carbon emissions. Warming of greater than 1.5 degrees Celsius would eliminate summertime ice in the Arctic, intensify extreme weather, exacerbate water stress, reduce crop yields, and extinguish coral reefs, the panel warns. The new study shows that, until recently, international migration due to climate has been indirect and rare. Schleussner agreed with this conclusion, saying that it chimed with the general scientific consensus. But, he added, the past does not necessarily reflect the future. He cited sea-level rise as a mechanism that will likely drive international migration in the future. He also noted that while the study focused on migration across national borders, internal migration affects even more people, especially those with few resources. The researchers say they hope their study will inform policymakers as they tackle sustainable development goals ranging from peace to climate action to the eradication of poverty. “When thinking about these global goals, the interaction among them needs to be taken into account,” Muttarak said. The researchers also advised global leaders to envision climate change in the framework of national security. Climate adaptation is a wise investment, they say, paying returns by reducing armed conflict and forced migration. The Zaatari refugee camp in Jordan, seen here in July 2013, houses 78,000 of the 5.6 million refugees who have fled the Syrian civil war. Image by U.S. Department of State via Wikimedia Commons (Public domain). In February, the U.S. intelligence community’s 2019 Worldwide Threat Assessment echoed the study’s conclusion. Dan Coates, the U.S. director of national intelligence, wrote that climate change and ecological degradation were “likely to fuel competition for resources, economic distress, and social discontent through 2019 and beyond.” The assessment highlighted the climate-conflict-migration pathway in northern Africa and western Asia. It warned that droughts, heat waves and floods were contributing to food and water scarcity, thereby “increasing the risk of social unrest, migration, and interstate tension” in the region. A woman and child walk down the main street of Zaatari, the largest camp for refugees of the Syrian civil war, in August 2013. Migration can be an adaptation strategy to climate-induced conflict, a recent study suggests. Image by Russell Watkins/Department for International Development via Wikimedia Commons (CC BY 2.0). Adrien Detges, a researcher for the European environmental think tank adelphi, said migration was a sign of people adapting to climate change, for which they should be supported rather than shut out. “Migration is a strategy to adapt to challenging environmental conditions,” Detges said, adding that receiving countries should destigmatize migrants and reduce social tensions. 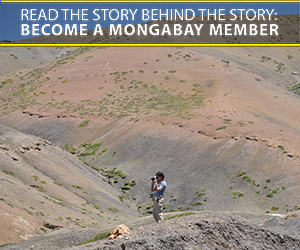 “It is important to help vulnerable communities cope with and adapt to a changing climate,” he said. 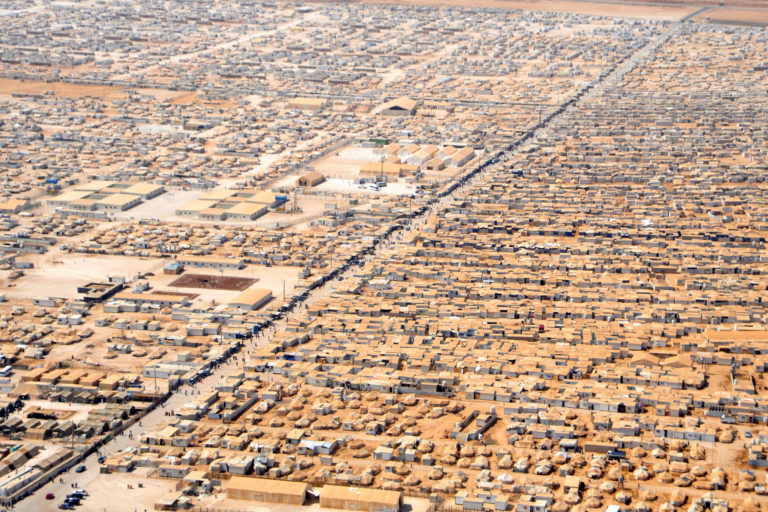 Banner image: The Zaatari refugee camp in Jordan in November 2012. Image by UNHCR via Flickr (CC BY-NC 2.0).